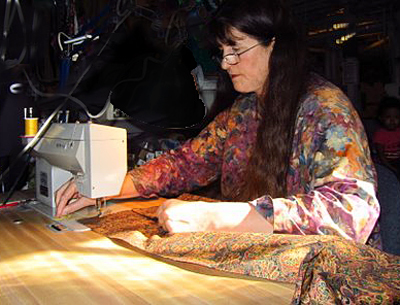 I have been designing and sewing clothing for over 30 years, and have made my living pursuing this passion. In addition to participating in many Midwestern art fairs, I have a beautiful shop at the Bristol Renaissance Faire where I sell my original Renaissance garb. My clothing is designed for comfort and sewn to last a long time. The fabrics I use are high quality natural fibers— silk, cotton, rayon, and linen. 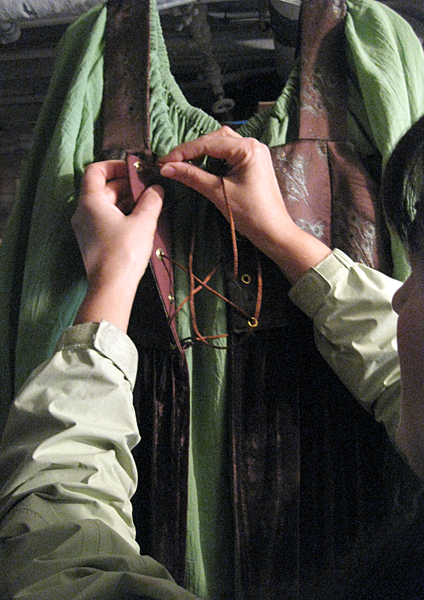 Versatilty is also an important consideration, and many of my designs can be worn multiple ways, (ready to wear) and can be worn with other of my pieces (renaissance womens separates) to increase the wearability of the garment. My customers come back time and time again, telling me how much they have enjoyed wearing the item they have purchased from me. I find this to be satisfying work because I can add a little happiness to people’s lives. I take special care with all the details that make these pieces timeless and long-lasting. I'd love to hear from you! I have always been fascinated by how clothing moves on the body. When I studied dance at the University of Wisconsin, one of my favorite subjects was kinesiology. Having clothing be comfortable and move well on the body are probably the most important elements that I consider when I design. Therefore, my clothing drapes well and looks great when the wearer moves.